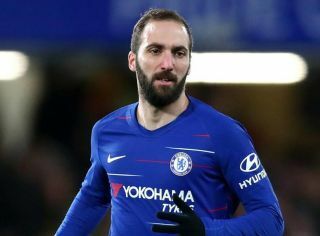 Chelsea were hit with a transfer ban for the next two windows on Friday, and it could have major repercussions for loanee Gonzalo Higuain. As noted by BBC Sport, the ban was handed out due to a breach of rules relating to youth players, although it’s added that Chelsea are expected to launch an appeal against the ruling. Time will tell if they are successful with that, but reports have now begun to spread over what it means for certain players and how it impacts on their respective futures. According to Sportmediaset, the ban will result in Higuain returning to Juventus this summer, as Chelsea won’t be able to sign him outright or extend his loan deal. Nevertheless, it’s also stressed that the Premier League giants are expected to appeal the decision, and there could be grounds for Juventus to make an argument to ensure that the deal goes through in the summer so it doesn’t unfairly impact them. In turn, it remains to be seen how the situation plays out pending any appeals and how far down the line it goes. but for now it’s suggested that Higuain won’t be at Chelsea next season. The 31-year-old only joined last month after cutting short his loan spell with AC Milan, and has since scored two goals in five appearances for Chelsea. Should he be unable to return for another season, that could force Maurizio Sarri and the club to consider alternative options, one of which would be to keep Tammy Abraham after his loan stint with Aston Villa comes to an end at the end of this season.